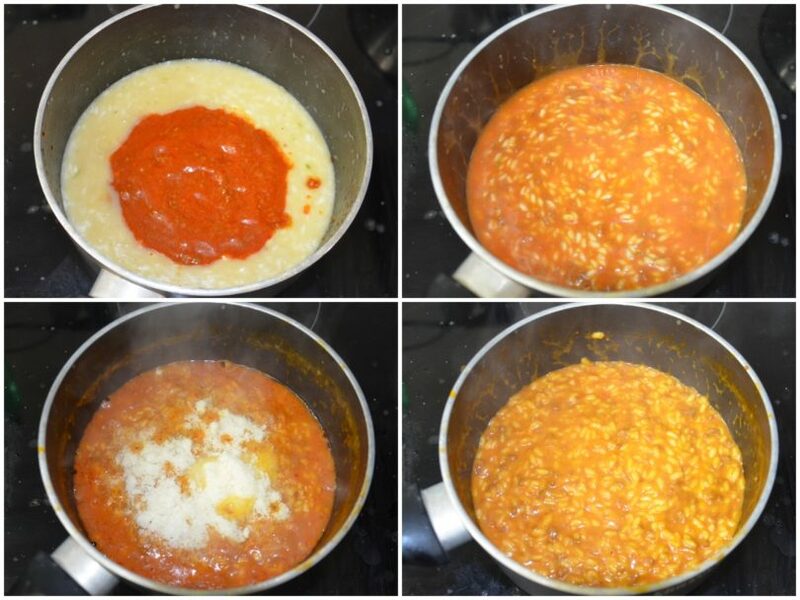 First of all, prepare the sauce according to my recipe or your version, if you prefer. Then clean and chop the shallot, and let it brown in a large pot with oil and half the butter. Add the rice and toast it in the sauce for a couple of minutes, turning. Then fade with a ladle of boiling broth, lower the flame a little and start cooking, continuing to add the broth as it is absorbed. 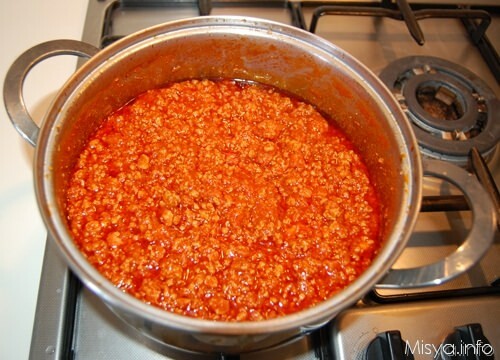 Halfway through cooking (minutes depend on the cooking time of your rice) add the meat sauce and season with salt and pepper. Continue to cook, always adding broth when needed. 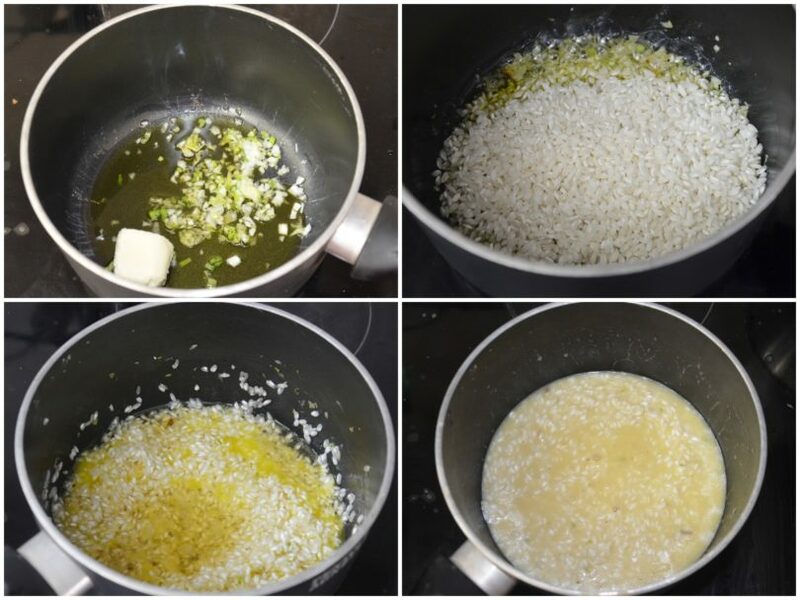 Once cooked the rice, turn off and stir in the parmesan and the remaining butter. 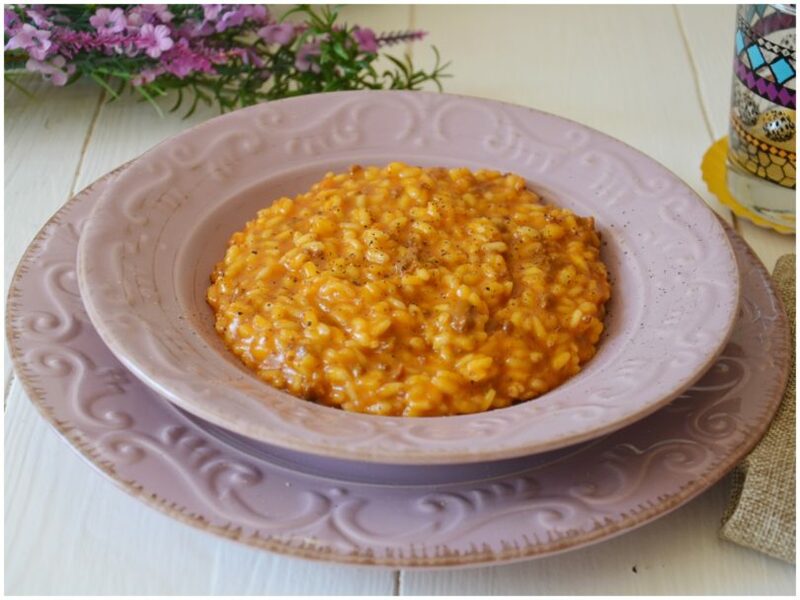 Serve your risotto with meat sauce with a freshly ground pepper.